We’d love your help. Let us know what’s wrong with this preview of Method Acting For Writers by Lisa Hall-Wilson. Writing deep point of view is like handing your reader a virtual reality headset; it’s dynamic, visceral, and immedia Are you struggling with writing characters readers care about? Critique partners, editors or agents saying you need to write vivid emotions? Do you want to write deep scenes and emotional arcs into your stories to keep readers engaged and turning the pages? Writing deep point of view is like handing your reader a virtual reality headset; it’s dynamic, visceral, and immediate. This intimate and emotive style of writing resonates with contemporary readers, if you’ve got the guts to “go there” with your characters. This writing skill isn't difficult to master, but it requires a shift in how you tell stories and sometimes those shifts don't seem intuitive. To ask other readers questions about Method Acting For Writers, please sign up. I have several books on writing "Deep Point of View (POV). But this is the one I'd been searching for. This book not only explains in depth what Deep POV is but gives the how to and when by adding expansive examples. It was very well written by an author and someone who writes and is published. I highly recommend this book to any writer who strives to take their writing to the next level. 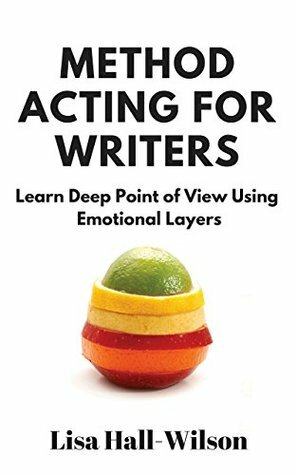 This book offers a wealth of information for anyone wanting to write in deep point of view. Author intrusion can be a subtle, but this book has helped me to be more aware. I'd like more information on emotional layering (hence four stars not five) and will be subscribing to the author's newsletter in hope of finding more info there. Thanks for the book. Tightly focused book on close point of view. Filled with specific advice with very little fluff. This goes on the pile of books to read again (and again). Lisa Hall-Wilson is a writing teacher and an award-winning author and journalist. She loves to get geeky about deep point of view and writes historical and historical fantasy fiction. Her stories often feature Canadian landscapes and blend her love of history, fantasy, romance, and faith.